If you have an account that was terminated by CS over a year ago and would like to have it back please contact support (http://uo.com/support-welcome/) and give them the details and identify the account as yours, depending on the termination we will remove the restriction from your account so you may open it again. If you know someone who was banned for a relatively minor infraction, it would be a good idea to let them know they could have their account restored. In other news EM Bennu added some screenshots of the event the other night to his Facebook page. Go take a look while you wait for the event video! If you don’t have the time to listen to me ramble on for 30 minutes about what I’ve done and trying to do in regards to roleplaying, this is the article for you! Unless you are a slow reader, here is the two minute version on what has happened and what I hope will happen over the coming months. I (JC the Builder) am elected governor of Moonglow on the promise of making Britannia great again. At the June governor’s meeting I give a grand speech about the sorry state of Britannia (which will be detailed in a future news post, sorry!). At the end of the meeting King Blackthorn threatens my life for overstepping my authority. I don’t attend the July governor’s meeting directly. Instead I have a representative hand King Blackthorn a communication crystal which he promptly smashes as soon as he hears me on the other end. He is attempting to silence me! Several governors are openly hostile towards Blackthorn. 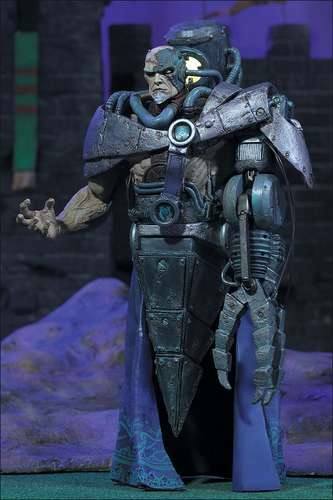 Zynia, governor of Vesper, even walks out mid-meeting in disgust. I (purposefully) don’t attend the August governor meeting at all. The other governor’s ask where I am but no one has any answers. King Blackthorn is very indecisive on what to do and keeps asking the governors. He ends up hijacking the entire meeting and leaves no time for anyone else to speak. He leaves abruptly with all the governors scratching their heads on what just happened. That leads up to today and the governor’s meeting happening tomorrow for September. At that meeting I had planned on attending and practically declaring my intentions to usurp Blackthorn. However, with the recent real life death of Tiffany Moon, governor of Cove, I think it is more appropriate to hold off a bit. Instead I will be in attendance for very low key. When I became governor months ago this was not at all what I had in mind. It has occurred organically over the last few months. Who better to blame for all our troubles than the current king? It is not my intention to become the next king, only to de-throne the current one. I hope you all will join with me for what could be the greatest storyline Atlantic has ever seen. During the month of October I want to hold different events, such as a clandestine meeting of the city governors, to further this idea. It will all lead up to the October governors meeting where the fireworks will truly begin. Please check back here regularly for more information. Have a Nice day. If there was one single thing which I have to point to as to bringing back people to the game recently it has to be ICQ chat. 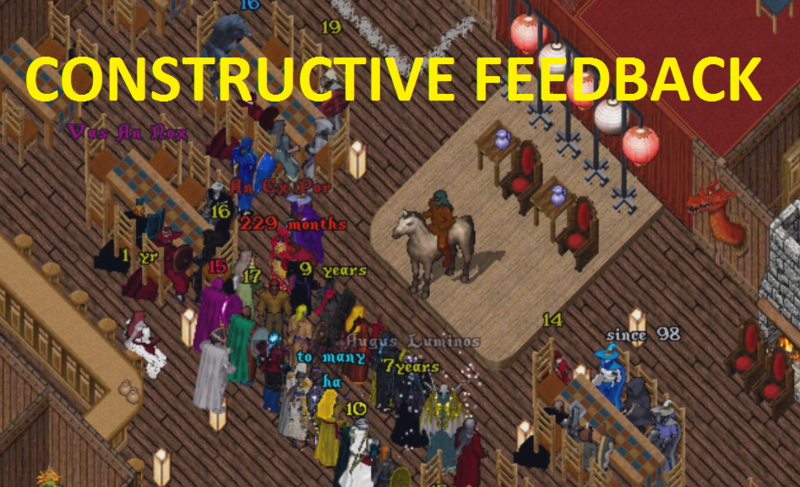 When I was working to bring back the HOT Guild over the winter, one of the big hurdles was communication. People were logging in very haphazardly and not checking our website much at all anymore. People were around, but getting people together was a big hurdle. I know there are other programs out there that people chat on, such as WhatsApp and Discord. But Ultima Online players are stubborn and will only use ICQ. 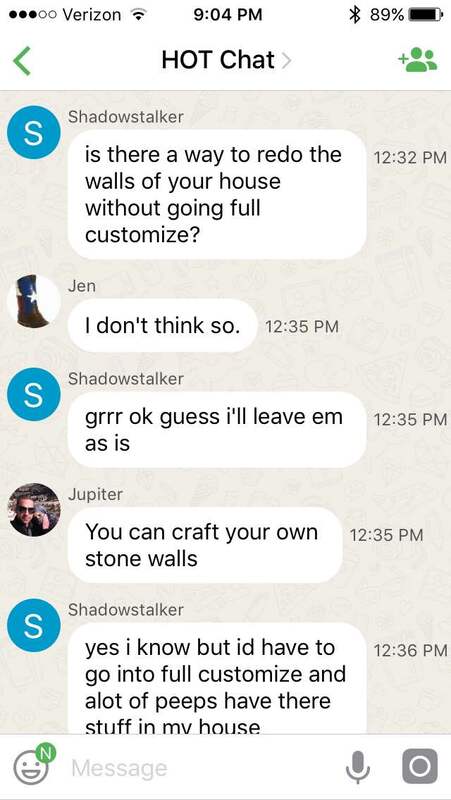 Luckily it seems ICQ has developed a pretty decent chat interface to compete with other programs and so far it has served our guild very well. There are hundreds of messages every day and any questions can be answered promptly. If you haven’t loaded up the ICQ app on your smartphone then I strongly encourage you do so! Now you don’t need to be at your computer and have the ICQ application open to be connected to what is happening in UO. It could be 4:30 at work and you get a ping that something will be happening tonight, so you know exactly when to login. Personally, I turn off notifications for chat rooms so I don’t get notifications. But if someone needs to reach me all they need to do is send me a message. There was a recent update to ICQ chat which allows basic permissions. Now you can set it so people have to request permission before they can join (before anyone could invite anyone else). So problem users can be removed. 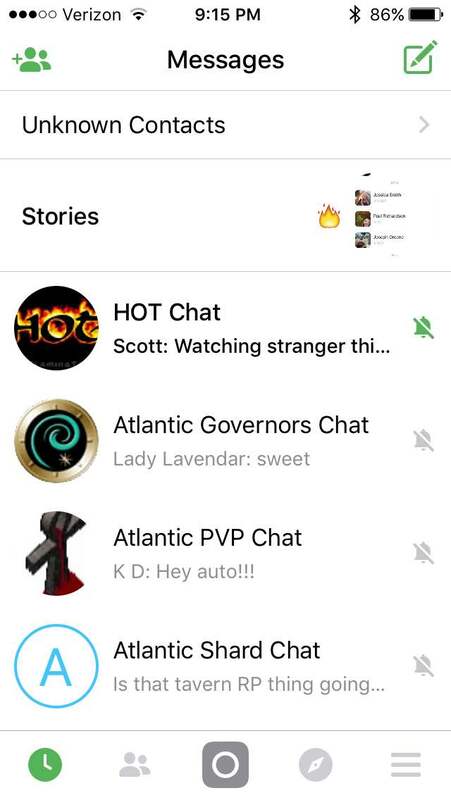 With this I decided to create public chats for the Atlantic shard, a general and a PVP focused one. If you want to join one or both chats (and you should, you don’t have to talk to anyone) then message me at 59523359. I would encourage every shard to start their own ICQ chat room(s). It will help connect players for all kinds of reasons, whether it be trade, PVP, looking for hunting partners, answering a simple question, etc. 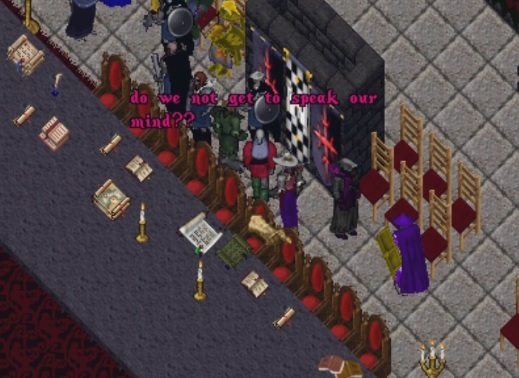 The more people communicate the more they will have fun in Ultima Online.